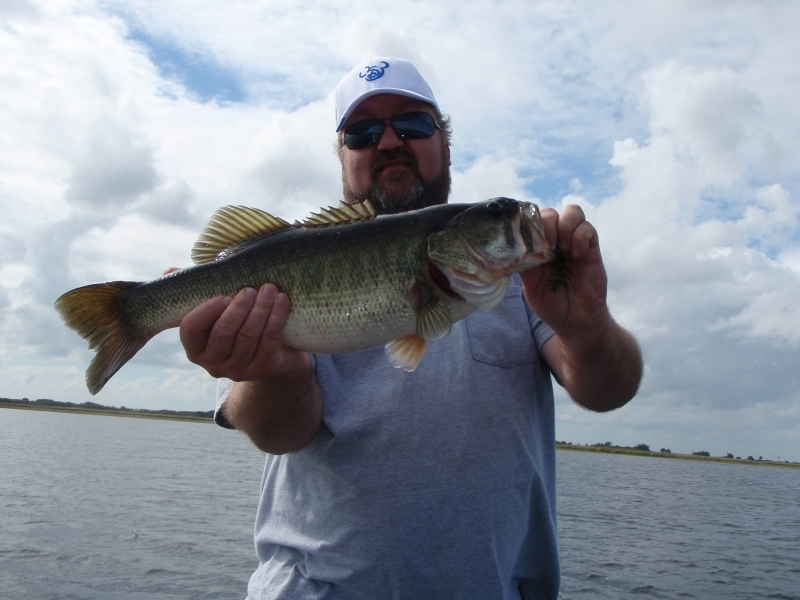 Lake Toho the Central Florida Largemouth bass destinations. Florida residents are thank for to have great fishery. Just about anywhere you are in Florida your near water. Florida is surrounded by the Atlantic Ocean, and has over 3 million acres of freshwater lakes and 12,000 miles of streams and rivers. Great start to Thanks Giving week with Lake Toho the Central Florida Largemouth bass destinations.. Starting the week with BOL repeat customer Curt Soik and wife onboard at Lake Toho.The Soik’s gave thanks to a 40 plus Bass Day, 3 to 4 lbs bass & 3 Largemouth’s over 7lb, most all of were caught on shiners. Everyone had a bass thumb to carry home as a reminder of a great day of catching plenty of bass. It’s heaven on earth for Anglers whether you prefer Salt Water (inshore& deep sea) fishing, freshwater (bass & pan fish). Even if you here to visit one of our amazing theme parks, play Golf or just relax on one of many of our sunny beaches Florida has something for everyone. Florida is the Bass Fishing Capital of the world, so don’t miss the opportunity to cast A-line, make a memory, & capture the big smile on your face from catching a monster bass.